Are you exhibiting at a trade show in Richmond? Do you need assistance creating a spectacular trade show display? Metro Exhibits can help. We provide purchase trade show displays, rental trade show exhibits and much more to satisfy all of your exhibiting needs in Richmond, Virginia. Richmond is the capital of the Commonwealth of Virginia. It is the center of the Richmond Metropolitan Area and the Greater Richmond Region. It was incorporated in 1742, and has been an independent city since 1871. As of the 2010 census, the population was 204,214; in 2016, the population was estimated to be 223,170, the fourth-most populous city in Virginia. The Richmond Metropolitan Area has a population of 1,260,029, the third-most populous metro in the state. 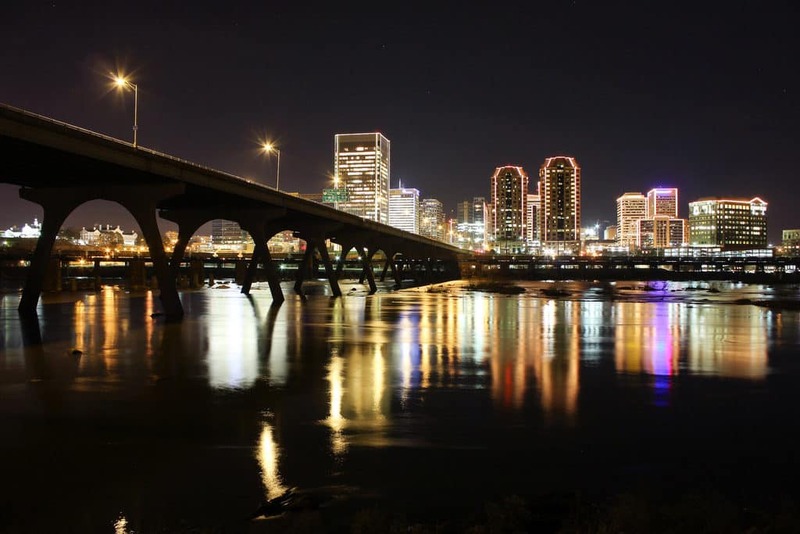 Richmond’s economy is primarily driven by law, finance, and government, with federal, state, and local governmental agencies, as well as notable legal and banking firms, located in the downtown area. The city is home to both the United States Court of Appeals for the Fourth Circuit, one of 13 United States courts of appeals, and the Federal Reserve Bank of Richmond, one of 12 Federal Reserve Banks. Dominion Resources and MeadWestvaco, Fortune 500 companies, are headquartered in the city, with others in the metropolitan area. The Greater Richmond Convention Center is the premier location for trade shows, expos and conferences. With 178,000 square feet of exhibit space subdivided into 4 halls, this location offers ample spacing. Additionally, the facility offers up to 32 meeting rooms located within 80,000 square feet for flexible arrangements. Jehovah’s Witnesses Convention, Virginia PTA 2017 Annual Conference, Resilient Virginia Annual Conference, American Philatelic Society StampShow 2017, Gluten Free Food Allergy Fest, Richmond Public Schools VPI Parent Orientation. At Metro Exhibits we understand the needs of companies and organizations to stand above all others. Branding, the practice of building a lifelong preference amongst consumers to choose and patronize your company, is of crucial importance. At trade shows exhibits and conventions in Richmond, VA, the ability to make an impression that will separate you from your competition is our goal. Metro Exhibits provides the best physical representation of your brand possible. In Richmond, as in other cities around the United States, we offer a full complement of trade show and convention services. We will work with you to create and design unique trade show and exposition booths, displays, and corporate spaces. Whether you need us to deliver and set up existing structures, booths or company displays OR you need our help in designing amazing, eye-catching booths from scratch, Metro Exhibits has the qualified teams of professionals to make your vision a reality. Contact Metro Exhibits us to learn more about Richmond trade show rentals, sales and other trade show support services. The Greater Richmond Convention Center is the premier location for trade shows, expos and conferences. With 178,000 square feet of exhibit space subdivided into 4 halls, this location offers ample spacing. Additionally, the facility offers up to 32 meeting rooms located within 80,000 square feet for flexible arrangements. The location also offers a grand ballroom with an additional 30,550 square feet of spacing for expanded shows and conferences. Finally, the center is located just 13 minutes from the airport for easy access. For more information look here. The Altria Theater is another great location for shows and conferences. Located in the main downtown area this 18,000 Square foot facility is ideal for personalized shows. For more information look here. Contact us today to review your needs for trade show display purchase or trade show exhibit rentals for your next trade show in Richmond, VA. Some of the other main cities where we operate include: Anaheim, Atlanta, Boston, Charlotte, Connecticut, Chicago, Dallas, Ft. Laurerdale, Houston, Indianapolis, Las Vegas, Los Angeles, Nashville, New Orleans, New York City, Orlando, Philadelphia, Phoenix, Pittsburgh, San Antonio, Sacramento, Salt Lake City, San Diego, San Francisco, San Jose, Tampa, Washington DC and many more.